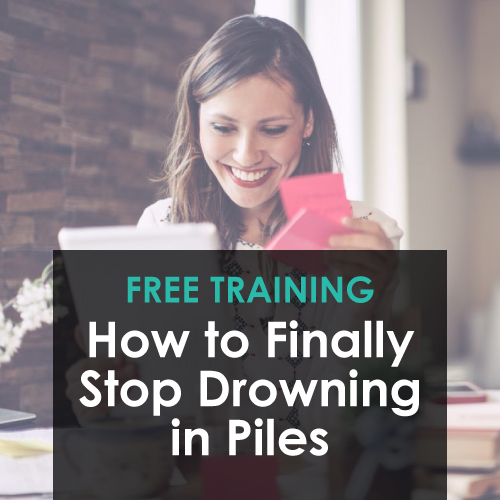 Getting your emails to zero (and keeping them that way) might sound like a dream, but it’s totally doable, and you can get this whole process set up during a lunch break, while your children are having some quiet time, or during another hour of the day you’ve dedicated to moving your life forward. 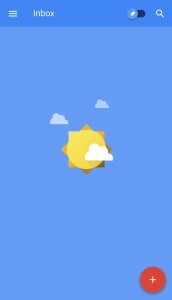 This is our favorite screen on Gmail’s Inbox app, and you can experience it, too! @Immediate Action – You work from this folder each day, check it before you go to bed at night, and get it all the way to zero at least once a week. Example: A colleague of yours has asked you to send some information that will take you about 10 minutes to locate/email about. @Logins – A handy place to keep auto-login links or login information for non-confidential online resources. Example: You just joined an online course that you’re excited to complete. @Read & Review – Do you receive eBooks, newsletters, articles, and other great information in your email inbox? Put those items here so you can review them at your leisure. Example: Your favorite author just sent you the first chapter of her book that is launching next month. @Someday – If you want to act on an email “someday” (because it’s really wonderful), but now is simply not the time, put it here, and it will be waiting for you. Add a calendar trigger if you want to be sure you don’t forget it. Example: You receive a notification about a new product you’d like to check out. @Waiting – Have you delegated something to another person and are waiting to hear back from them? Put those emails here, and you’ll check it once a week in your Weekly Review. Example: Your assistant is going to make some final edits on a document you need. You save the email exchange with all the details here. Utilize the two-minute rule. Anything that can be done in two minutes or less, handle right then. Put “action” emails that will take longer than two minutes into @Immediate Action. This is the main thing you are going to change. Instead of working out of a cluttered inbox, you’ll be working out of a specific folder that consists of very doable email-focused tasks. If you’re worried about your emails being “out of sight, out of mind,” you may want to utilize Gmail’s Multiple Inboxes available in Gmail Labs. Delete and unsubscribe as much as possible. If you’re getting all kinds of updates via email about social media, search “How to turn off email notifications” (on Facebook, Pinterest, LinkedIn, Twitter, etc.). File the Logins, Read & Review, Someday, and Tickler emails as explained above. If any deadlines or required tasks are associated with them (especially on the Tickler emails), record them on your calendar and task list with a quick reference to the folder where the email is stored. STEP 3: Skim the Emails from the Past 30 Days for Additional @Immediate Action Items. We want to make sure you don’t forget to pay a bill or take advantage of a once-in-a-lifetime opportunity! STEP 4: Move Everything Else to the “To Sort” Folder. Because you have already checked the top emails for action items, your mind can rest, knowing that any additional “buried” emails most likely would never have seen the light of day anyway. You’re not deleting them. You’re simply moving them to your “To Sort” folder. (And if you ever do need them, they’re always searchable.) This is a great article on how to move a lot of emails at once. STEP 5: Keep Your Inbox at Zero. This is going to take some work, but it’s not hard as it sounds. The main key is single-handling your emails as much as possible. When you read an email, either delete it, use the two-minute rule, or move it to one of the file folders above. Then work from your @Immediate Action folder as needed. There you go! Emails are at zero, and now you’re set up for incredible success. Want to take your productivity to the next level? Option #2: Download this extra email bonus: We’ve prepared a totally free resource called Eight Epiphanies for Effectively Engaging with Your Email. (That’s fun to say!) In this three-page download, we’ll show you how some of the most productive people on the planet (David Allen, Julie Morgenstern, Merlin Mann, Michael Hyatt, John Lee Dumas, and more) manage their relationship with email–and we know you’ll love the results when you replicate their strategies. Productivity is the worst thing I’m dealing with right now. I just get so distracted and email is a big part of that. Thank you for the tips! I’m excited to join you here as a new subscriber. Thanks! This is very helpful. I think I’ll add one titled @ToJournal as I have many many emails with communication and stories that I want to keep for memories sake. Love that idea!!! Way to go, Leisel! I currently have 2,772 emails in my inbox. And that’s just ONE of my email accounts! I know I don’t need most of these emails. I get anxiety at just the thought of checking email. And I’m not an anxious person! Going to put this into practice and I’ve got my fingers crossed I can make change happen! My emails weren’t crazy out of control (20 in my work account and 150 in my personal account) as I use folders liberally. I read this article this morning and this afternoon have cleared out the remainder of those emails. Thanks for the helpful info. 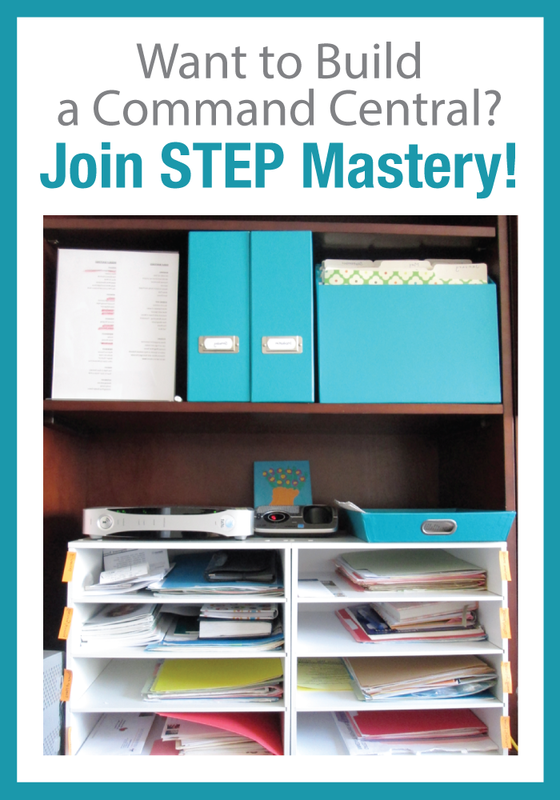 I look forward to what else I’m going to improve upon with STEP Mastery! I had almost 17,000 emails with over 5,000 not opened. I’m a homeschool mom and do not make money using my emails. I have emails from 2008! Actually at a hotel with my husband on business and this is my task! No children no extra duties!!! Thankful that I finally have a way out from under all these tasks. So so many to unsubscribe. How do these companies get my email! ?Will be my main goal to get rid of these darn emails for good and stop getting them continually. Thank you guys so so much!!!! !